A prime feature of a good camping table is the ability to stand up to the elements without degrading or losing function. Don’t consider cushioned or padded ones or any that have fabric coverings, as these are more suited for indoor use. Instead, look for camp tables that are made of wood, aluminum or plastic. Wood tends to be the heaviest of the available materials, so it’s not the best choice for your main camping table, although it works well for side tables. There are also camp tables in a variety of lightweight plastic polymers. Some of these are scratch-resistant and have virtually indestructible surfaces. Aluminum is the most lightweight of the three materials recommended, and the main thing to look for here is solid construction and support that will give the table a stable base. This not only allows you to put a reasonable amount of weight on an aluminum surface, but it also keeps the table from flipping over in a high wind. You want to balance sturdiness and durability with weight in a camp table. 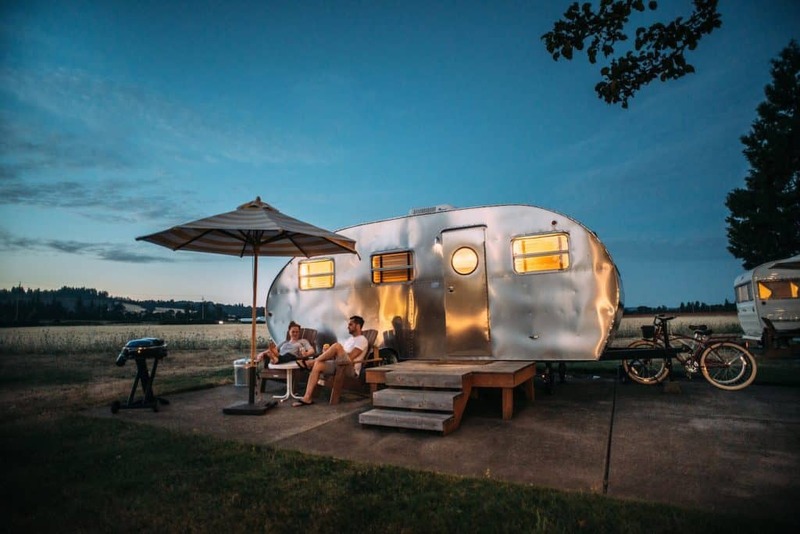 Although you’re looking for a solid surface that won’t wobble or sag, you’re also going to need something you can load into a vehicle and lug around a campsite. 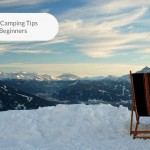 Your camp table will need to be strong enough to support heavy items like camp stoves and water jugs, yet lightweight enough to set up, break down and carry around. A few camp tables come with chairs, and it’s also vital to check their quality. Are they really strong enough to hold a large adult without bending or breaking? Do they store compactly as well? Picnic-style bench seats can fit more people on them, but individual seats can be moved around to where they’re needed. Some backless seats even double as small tables. The best size in a camp table will depend on what you’re using it for. Tables are handy for holding a drink or a snack and useful for food preparation. Pulling a chair up to a table is also a comfortable way to dine compared to sitting on the ground or perching on a cooler. Having an undesignated utility table makes camp life easier because you never know when you’ll need a surface for setting something down. A rectangular table lends itself to a variety of uses, but a square one is preferable for playing cards and other games. If you’re planning to eat at a table regularly, make sure it’s the right height for the chairs you use to ensure comfort. A table without crossed supports in the middle is the best choice if campers will be sitting at it to eat, play games or just hang out. You can also find camp tables that are specifically designed to be cooking stations, with safety features included. Fold-out surfaces, utensil compartments, and hooks for hanging trash bags are extras with cooking station tables. Some of them even have removable sinks and paper towel holders. They’re usually heavier than traditional camp tables, but a kitchen setup is a real boon if you’re staying in one place on your camping trip. 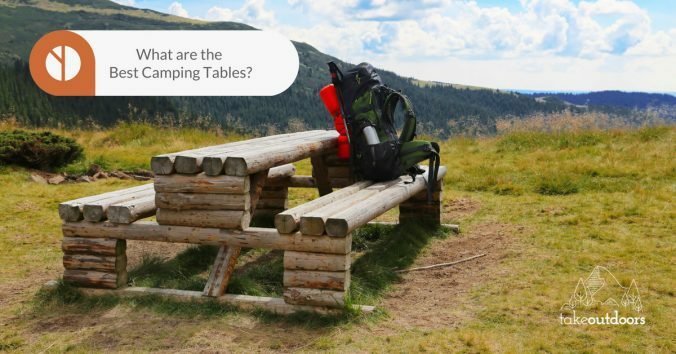 The way a camp table sets up and breaks down is another feature to consider, and many frequent campers swear by their favorite tables. In some designs, setup is a breeze, but the trade-off is that the table only has one height setting. 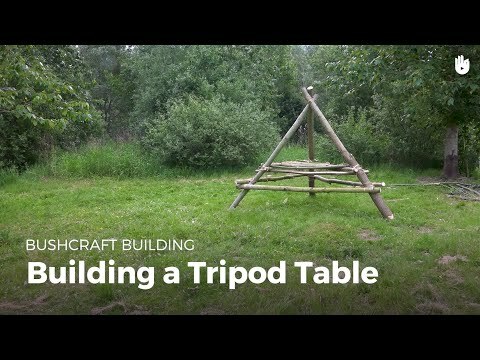 Adjustable height is one of the most useful features in a camp table. It’s especially important for dining and food prep tables, and some of the tables we reviewed have that flexibility. On the other hand, if you need a table that you can easily carry on a hike or in a kayak, you’ll be more concerned with weight and compactness. A roll-up table is a good alternative if you need to carry it with you on a wilderness campout, and you can find a reasonably-sized table that fits in a backpack. In our quest for the best tables, we looked for camp tables light enough to carry around and collapsible enough to easily transport. Another requirement was a decent amount of room on the tabletop. We designated less than 8 square feet as a small table, and 8-10 square feet was considered to be medium-sized. Those with more than 10 square feet were put in the large table category. We also characterized each table as lightweight, average or heavy-duty, depending on a number of factors. These included sidebars for the legs, table supports, and the materials that composed the table. Extras that made a table into a multi-use, multi-function choice were also considered. 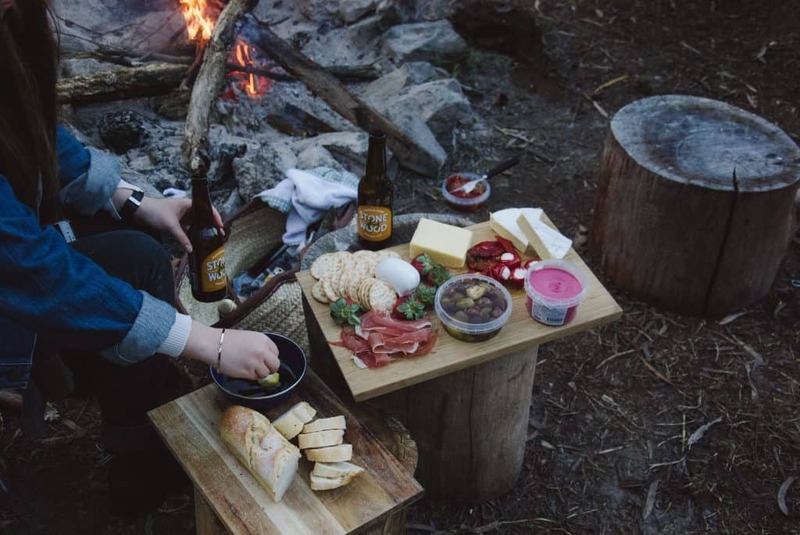 And if the list of camping tables mentioned doesn’t impress you, why not go the natural route, cut some trees and build a picnic table yourself and your family or friends? Here’s a video by Sikana that teaches you exactly that. Note: This comes with chairs! Dimensions: 28.5" x 28.5" x 27.5"
Materials/Durability: Aluminum legs and foldable slat top. Stability: Accordion-style steel x-shaped frame gives extra support but less leg room. Setup/Design: Pull legs open and expand frame. Fits in a 28.5" x 8" x 8" carry bag. This is a smart pick as a utility table because it’s strong and sturdy. It also provides enough room for two people to dine. Dimensions: 32" x 32" x 28"
Materials/Durability: The table top is wooden slats inside waterproof fabric. Aluminum legs and mesh pocket along the entire length of one side. Stability: Tubular aluminum legs at each corner with support bars on two sides. Setup/Design: Screw legs on and unroll table top to set up. The four-star rating for value is only because this table is more expensive compared to other tables this size. However, the useful features explain the higher price. This table is sturdy, but it doesn’t have any support features that interfere with leg room. Dimensions: 43" x 28" x 28"
Materials/Durability: Aluminum table top and legs. Stability: Supported by x-frame legs with locking gear. No extra leg support bars. Setup/Design: Pull legs out and unroll table top to set up. Fits in a 42" x 8" x 5" carry bag. Stored in a shoulder bag with strap, this table provides ample room for two people to dine. Dimensions: 48" x 24" x 24"/29"/36"
Materials/Durability: High-density molded plastic top, powder-coated steel legs. Stability: Round legs with one horizontal bar across the legs at the bottom of each end. Setup/Design: Open table and unfold legs. Breaks down into a suitcase with carry handle. Stain and scratch-resistant. Although described in the title as a utility table, this narrow rectangular table is the best choice for dining. Dimensions: 47" x 27.5" x 21"/27"/30"
Materials/Durability: Lightweight aluminum legs and seats, fiberglass tabletop. Stability: Sturdy square legs with two sets of attached horizontal bars at each end for support. Setup/Design: Unfold to set up; unsnap and unfold seats. Individual bench seats snap in place for storage underneath the table top. Folds into a 27.5" x 24" x 4" suitcase with reinforced handle for storage. Extras: Four folding individual bench seats that can double as side tables. The features of this table give it a lot of versatility. The individual bench seats can double as side tables, and they support 220 pounds each. Dimensions: 79" x 19.7" x 73"
Materials/Durability: Rust-resistant heavy-duty aluminum frame. Medium-density fiberboard (MDF) worktop and two heavy-duty wire grid shelves. Stability: Four aluminum legs have two sets of support bars at each end; extender shelf has two additional legs and a support bar. Setup/Design: Unfold to set up; hinges have locking mechanisms. Telescoping pole has a ring for attaching a lantern. Folds into a 39.5" x 20" x 7" suitcase with handle for storage. The many extras that come with this portable kitchen make it a great deal at the list price. Although it’s the heaviest of all the tables we reviewed, it’s still reasonably lightweight at 31.5 pounds, especially for a long camping trip or one that’s centered in one spot for the duration. 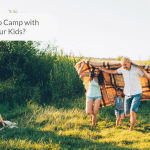 These recommendations provide the information you need to determine which type and size table will work best on your next camping trip. Are you looking for a camp kitchen, a place to play games, a dining table or an all-purpose camp table? 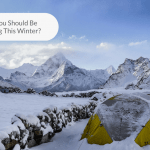 Depending on whether you’re a car camper, wilderness camper, RV traveler or kayaker (or some combination of those), you can find the ideal table for your camping trip, with the features that matter most to you.